The labour ban can be dismissed if the work permit and employment are terminated in mutual agreement between employee and employer. The New Year will acclaim the ban-free labour sector in the UAE, much to the benefit for thousands of expatriates. 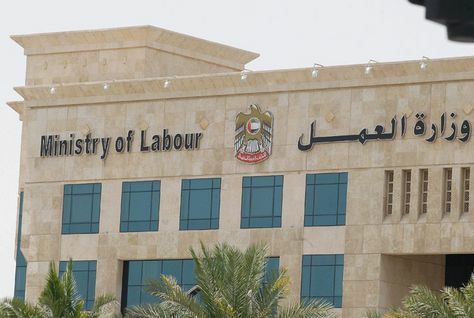 The Ministry of Labour reported that beginning January 2016, it is going to revoke the six months ban rule, if the employees and employer choose for the mutual termination of the work permit. The new labour law is part of the new resolutions issued by the Mr. Saqr Ghobash Saeed Ghobash - Labour Minister in September this year. Humaid Rashid bin Dimas Al Suwaidi, Assistant Undersecretary at Ministry of Labour, stated that under the new resolution, employees who desire to terminate job contract with a permission from their employers will be permitted to transfer to other companies, even if they have not completed two years at the present office or company. However, employees in grade IV and V who have not completed six months with the first job are exempted from this rule, he further added. Al Suwaidi mentioned that currently workers who have even completed two years are also not permitted to transfer to a different company immediately. They are really allowed to join up another job only after a period of six months from the date of cancellation of the work permit. Al Suwaidi verified that the new rule is meant to attract and retain talent, and is in line with the strategic objective of the UAE government to being a knowledge-based economy attracting worldwide talent for jobs in UAE. Dear sir.some i ask questions I am working for long time for 2 company restaurant all this company i am fenish contract.but in the 3rd company well offer salary 3500.and he well process my visa.and everything is complete but this is the problem because will become 8months now didn't open the shop.and now he live in dubi without communication.the 1 question we can cancel my visa without my employer,and i have? Because this is not my fault?pls.thanks..
An immigration e visa done by my cousins new company. The passport is with him. he's under his wife's sponsorship. The first offer letter doesn't contains hard rules. in the second offer letter they put hard rules. My cousin is not intend to work there.& not signed in the second letter. also the company asking 1500 AED for visa, immigration purpose. he didn't gone for medical, &emirates ID etc., his wife sponsorship also not yet cancelled. Is there will be ban imposed for not accepting the job & not joining the company?